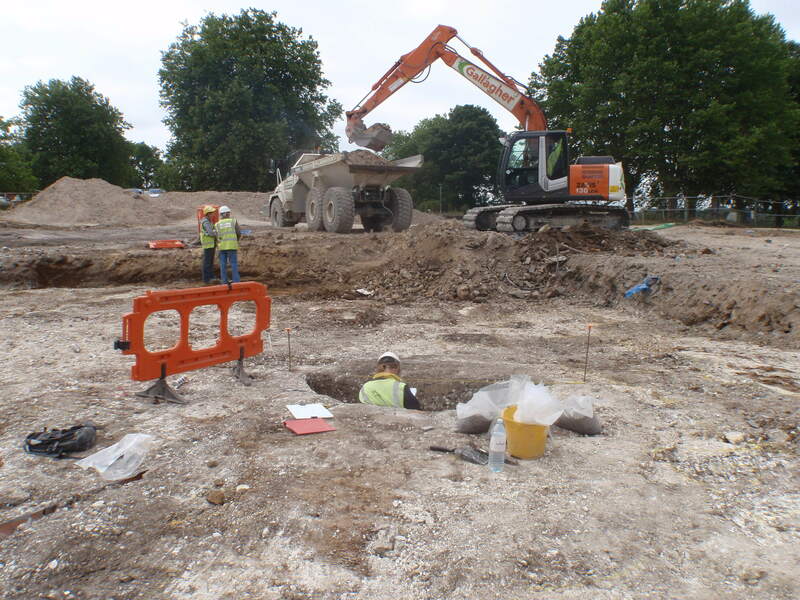 Wessex Archaeology was commissioned by CgMs Consulting to undertake a programme of archaeological works in advance of redevelopment of the former Queen Mary’s Hospital at Carshalton prior to the relocation of Stanley Park High School. A watching brief was maintained on groundworks within the site and following the identification of significant archaeological remains, the relevant area was subjected to full archaeological excavation. The subsequent phase of excavation identified evidence of a substantial Late Iron Age/Early Romano-British enclosed farmstead. Three phases of the enclosure were identified, all dating to the same LIA/ERB period. A large number of deep storage pits were recorded, many of which had been infilled rapidly, and incorporating placed deposits. 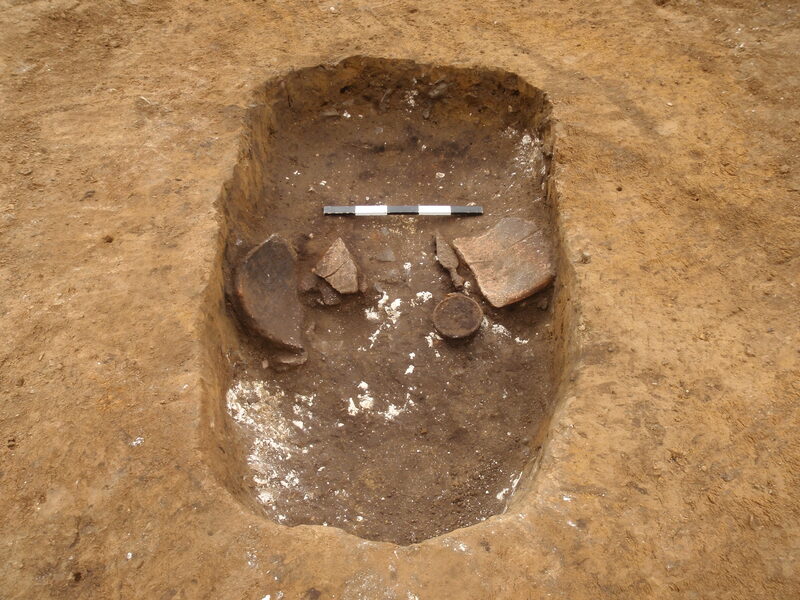 Animal burials were excavated from within the pits, many of which were deliberately deposited. 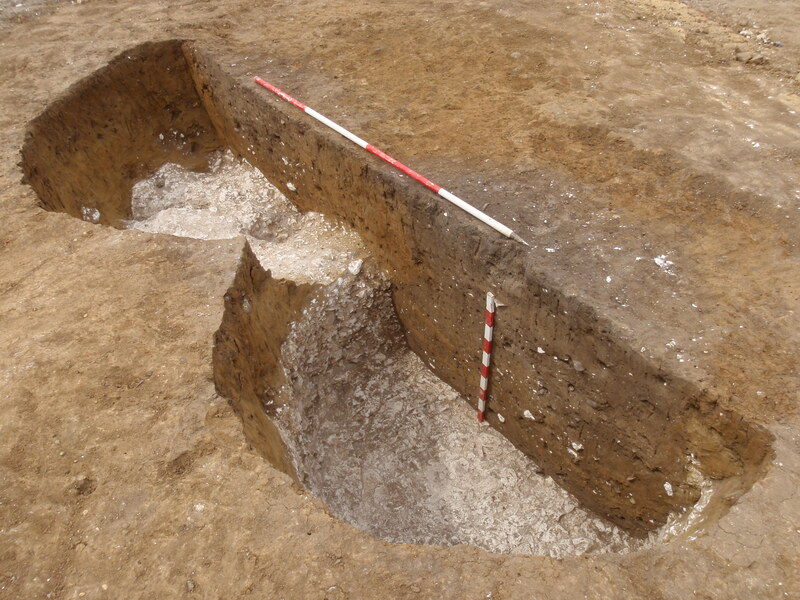 Three human neonate burials were also placed within such pits. 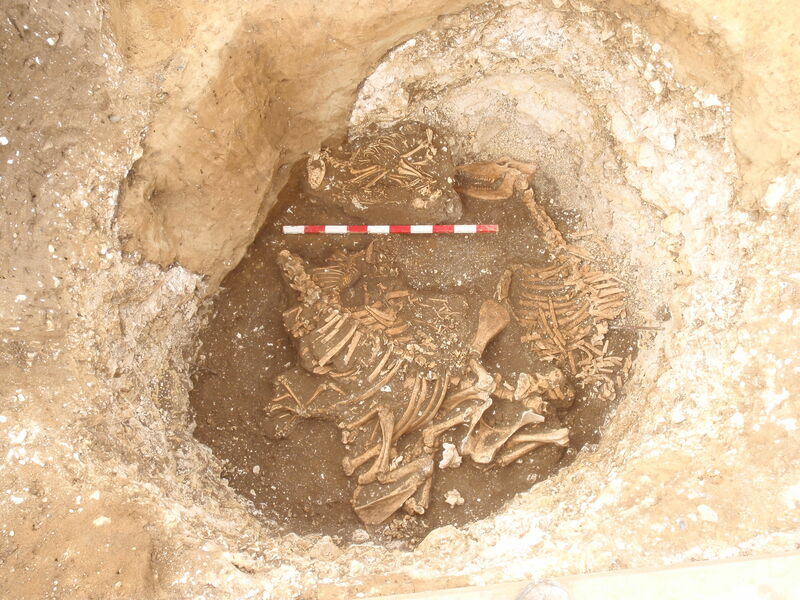 One pit in particular contained very large numbers of animals including the butchered remains of over 25 individual sheep/goat carcasses deposited as a single layer, with additional complete skeletons of dogs, chickens and a raven. The features also revealed evidence for domestic, subsistence and industrial activities including spinning and weaving, sheep husbandry and metalworking. A small number of earlier prehistoric features were also identified, comprising a Late Bronze Age/Early Iron Age trackway, some pits and postholes distributed across the excavation area. These features can be interpreted as relating to peripheral activities associated with a large Late Bronze Age ring work, (SM163), which lies 60m to the south of the excavation area and was likely to be the focus of settlement during this earlier phase. A technical report for this site is available, as well as a blog post about the animal burials.